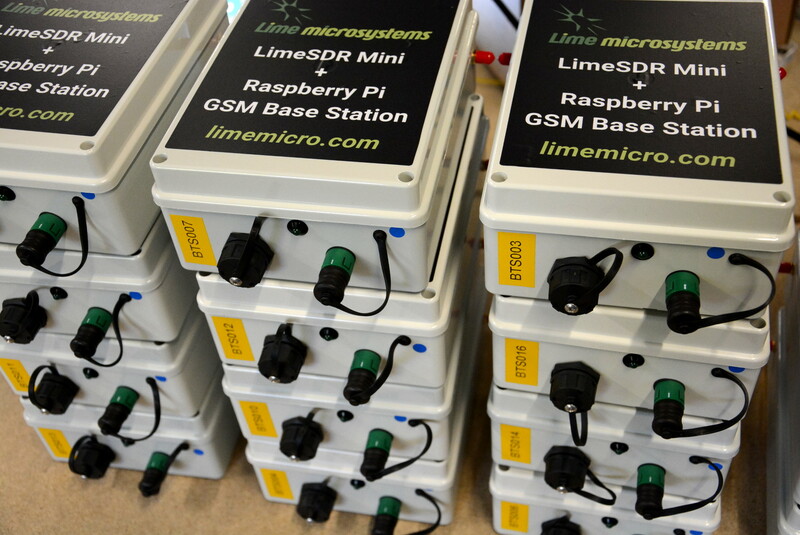 Lime provides 16x low cost self-contained weatherproof base stations for the bi-annual 3 day festival for makers, artists, scientists and engineers. The aptly named Electromagnetic Field (EMF) Camp has grown over the years to be something of a highlight in the calendars of many with an inquisitive mind or an interest in making things. Featuring talks on a diverse range of topics spanning science, technology, craft and much more, the UK event has a packed programme and with over 2,000 people taking part. Connectivity is taken very seriously and while the festival is hosted in a rural area of outstanding natural beauty, a significant amount of time and effort is invested in making sure that there is reliable high speed internet access, with networking to tents and even a temporary NOC set up. When the organisers got in touch to ask if we could help out with providing the infrastructure for a self-contained GSM network, we couldn’t resist lending our support! 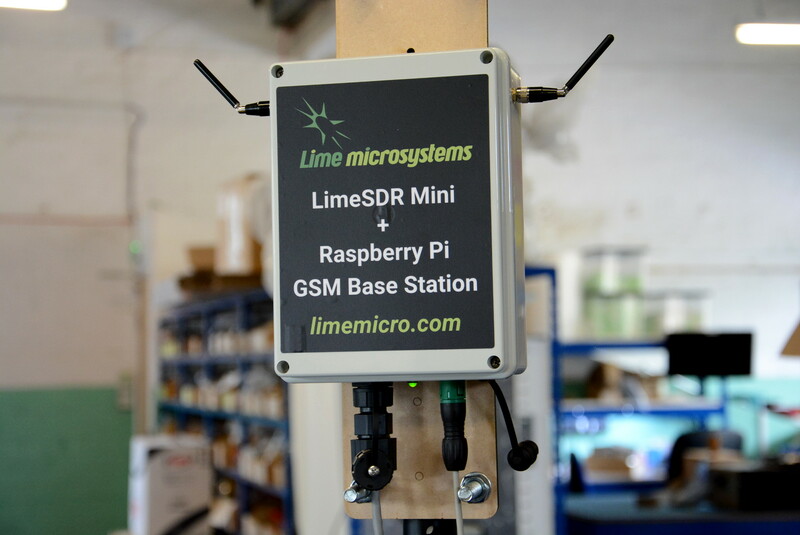 The solution we came up with is based around the LimeSDR Mini board paired with a Raspberry Pi 3 Model B+ host, which will run Linux together with a fully open source GSM base station (BTS) stack courtesy of the Osmocom Cellular Network Infrastructure software. Power is provided via a 24V mains adapter and a DC-DC converter integrated into the weatherproof enclosure providing 5V to the Raspberry Pi. Since these will be mostly mounted outdoors and rain is a common feature of the British weather, IP67 rated DC power, Ethernet and SMA connectors were used to prevent against water ingress. The enclosure is secured to a laser cut MDF backplate to enable it to be easily mounted on a mast or wall. Following assembly each BTS was put through testing to ensure correct operation. 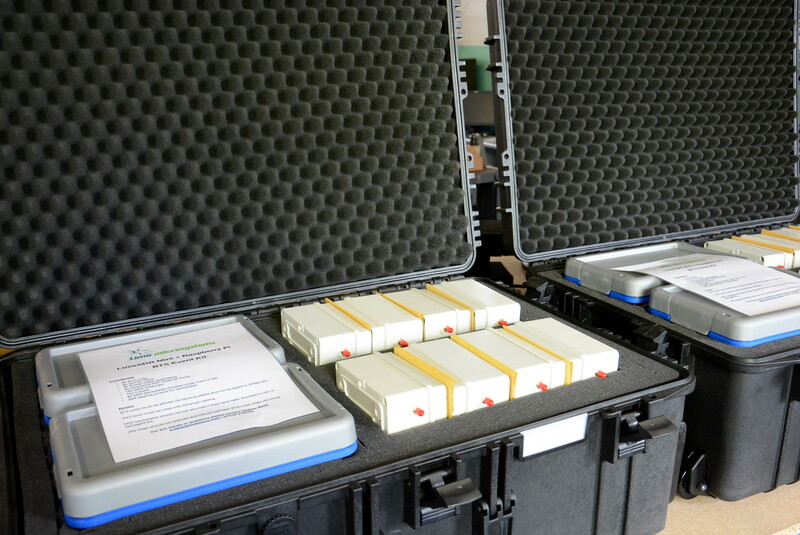 Everything was then packed into two robust waterproof cases for transportation to the festival. 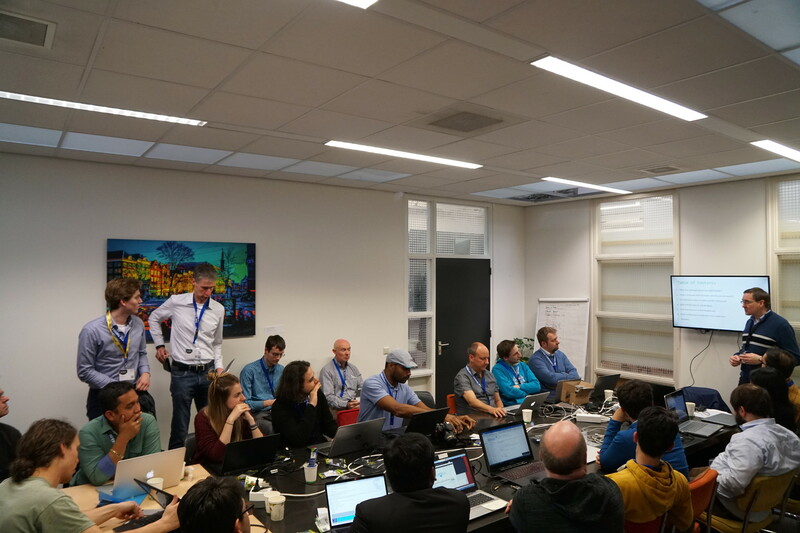 SDR workshop at The Things Network Conference earlier this year. Lime’s Principal RF Design Engineer, Dr Danny Webster, will also be giving a talk on the afternoon of Saturday 1st September entitled, An Introduction to Software-Defined Radio. 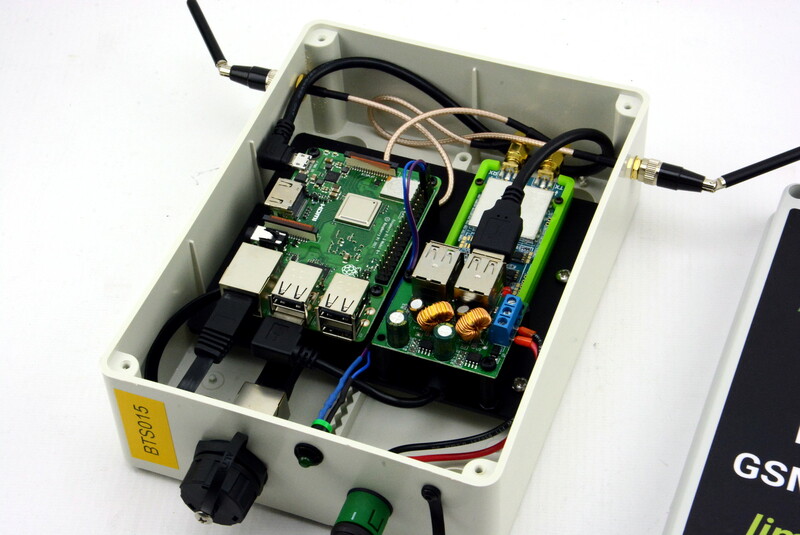 This will explain why we need SDR, provide an introduction to the basics and the LimeSDR platform, and give an opportunity to find out more about the hardware solution used to provide the festival GSM network. We’re delighted to be able to lend our support and look forward to seeing how people make use of the network!